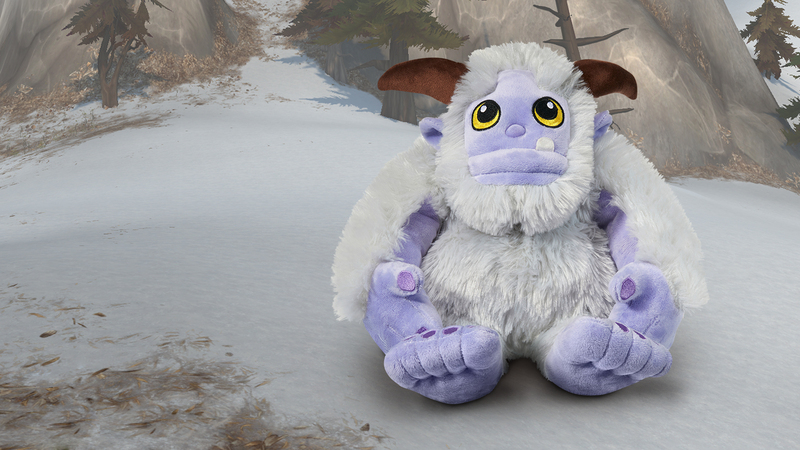 Introducing an adventurous new pet with an especially curious nature—Whomper the baby yeti! When you adopt him in-game or in his plushie form, you’ll be helping Code.org® boost its mission to expand computer science education around the world. As a part of Blizzard Entertainment’s ongoing quest to empower youth through STEAM (science, technology, engineering, arts, mathematics) education, we’re teaming up with Code.org for this year’s charity pet campaign. When you purchase the in-game pet by December 31, 2018 either in the Blizzard Shop or from the in-game shop, we’ll donate 100% of the purchase price* to Code.org. Code.org® is a nonprofit dedicated to expanding access to computer science in schools and increasing participation by women and underrepresented minorities. Our vision is that every student in every school has the opportunity to learn computer science, just like biology, chemistry, or algebra. Code.org provides the leading curriculum for K-12 computer science in the largest school districts in the United States and is now expanding internationally. Code.org organizes the annual Hour of Code campaign every December, which has engaged 10% of all students in the world. There are many ways to get involved with Code.org and help support their mission. You can try a one-hour tutorial designed for all ages and experience levels in over 45 languages, host an Hour of Code event for family and friends, volunteer in a classroom, or help translate a tutorial. Learn more about Code.org and how to get involved with this year’s Hour of Code by visiting their site, and follow them on Facebook, Twitter, and Instagram. *Donation amount for in-game pet excludes chargebacks, refunds, and value added taxes (VAT) or other similar taxes paid. Donation amount for plushie excludes manufacturing and freight to warehouse costs, chargebacks, refunds, and any VAT or other similar taxes paid. Purchaser is responsible for applicable shipping costs.